If you have been following our blog recently, you may have already heard that Mercedes-Benz will debut the C450 AMG Sport soon. Today, Mercedes-Benz announced that they will not only bring in the C450, but also the AMG Sport model of the upcoming MLC CUV (a competitor of the BMW X6). You can see how they look like in the above teaser photo. Please note that “AMG Sport” does not mean the Mercedes AMG models such as the C63 AMG. It is something similar to the BMW M Performance product line, such as the M235i. See the below press release for more details. Affalterbach – The sports car and high-performance brand Mercedes-AMG will achieve a new sales record of well over 40,000 units globally this year. Its entry into the compact segment and the broadening of its product range have provided the Affalterbach-based company with access to new customer groups and secured success in established and new markets. New models developed entirely in-house, such as the SLS AMG and, more recently, the Mercedes-AMG GT, consolidate the brand’s success story and place it firmly on course for sustained growth. To render the AMG brand and its technology more accessible, Mercedes-AMG is establishing a new product line by the name of “AMG Sport”, offering enhanced performance and technical refinements. The AMG Sport models will fill the gap between the AMG Sports package for Mercedes-Benz vehicles and the classic AMG models, thereby underpinning the brand’s growth strategy on a sustained basis. The AMG Sport models bear out the high-performance brand’s claim with uprated engine output, all-wheel drive as standard in selected markets and special chassis components and brake systems from the classic AMG models. Signature AMG driving dynamics and a highly emotional driving experience are the tangible outcome for the customer. 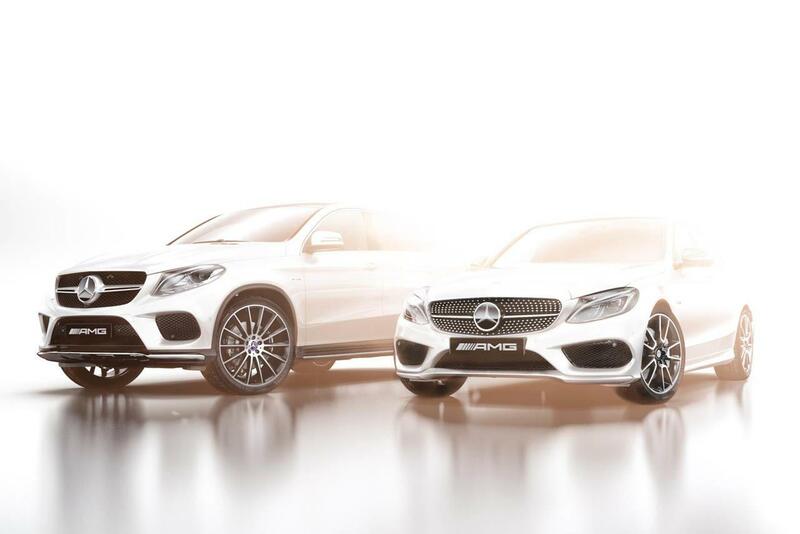 The first two AMG Sport models are set to be unveiled at the International Auto Show in Detroit in January 2015. It is planned to add further models to this new product line in due course. The Affalterbach-based sports car brand has set itself high aims not only with regard to customer enthusiasm and growth: the fleet consumption has been reduced by 35 per cent by means of a comprehensive range of technical measures carried out in the past five years as part of the “AMG Green Performance Strategy”. The AMG models are already among the most fuel-efficient and low-emission vehicles in their respective segments, with the new engine technologies and all-embracing lightweight design set to render them yet more efficient. The introduction of the Sport models in 2015 will make an additional significant contribution towards lowering the fuel consumption of the AMG fleet. The company headquarters in Affalterbach and the logistics organisation are also all set for sustained growth and represent the benchmark in efficiency, flexibility and environment-friendliness. The company has received recognition from the “German Sustainable Building Council”, for example, and is the winner of the “Deutscher Logistik-Preis 2014” from the BVL Global Supply Chain Network for both its environment-friendliness and its supply chain strategy. YouWheel.com is dedicated to bringing you the best, in depth news & reviews & tech specs throughout the auto industry. Love your car? Visit our member center @ http://youwheel.com/welcome/ and sign up today!